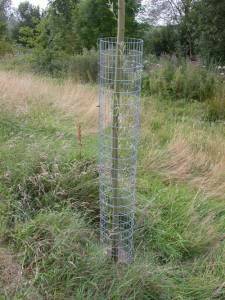 English Cricket Bat Willow Trees – Sapling to mature tree. We have a continuing re-generation programme which is the best in the industry, each year approximately 3 times as many trees are planted than are cut down. J.S.Wright and Sons are the reason there is no shortage of English Willow in the market today and will be no shortage in the future. 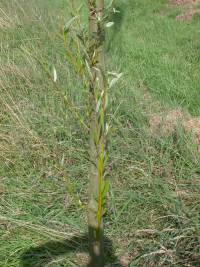 The English Willow ‘Sets’ we supply are the best you can buy, they originate from only the best trees and are four years old before they are sold to the grower. If you think you may have some mature trees to sell or a new planting site please contact us for either friendly advice or to arrange a free, no obligation site visit. 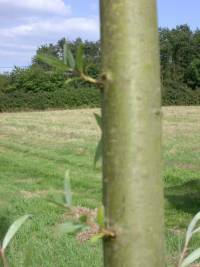 This page aims to give an idea on how English Cricket Bat Willow trees are grown, how to look after them and what happens when they are ready to cut down. The Willow Sets (unrooted standards) are normally grown from stools (Tods) which are planted in the ground, these are allowed to grow and are cropped every fourth year. Ground preparations, fencing and subsequent weeding and grass cutting or spraying are essential to prevent the young shoots being over run with undergrowth for the first year of each four year cycle. Selection of Sets during this period is not advised, competition for light encourages the Set to grow straight and tall. Once cut the Set is graded and where possible a four length Set is obtained. Shorter Sets are normally included where a strategic leader is evident, thus allowing further pruning once the Set becomes established. 15 foot unrooted standard "Willow Set”. Normally a site visit is advisable to ascertain the suitability of the area, the most common being river and brook water courses and low laying, often disused water meadows. Soil types have a varied effect on the growth and quality of the trees, for example, good quality soil over clay and well drained with a high water table of say 18″ to 30″ is ideal. Heavy peat is less suitable and to some extent sandy soil leaving marks on the finished products. Trees planted in plantation form will benefit from light soil cultivation if practical and to a lesser extent keeping the undergrowth down will prevent heating and subsequent secondary shooting (Aerial Roots) which cause blemishes in the finished bats from the base of the tree. Ground maintenance in single rows along rivers is not normally practical or needed. Sets are planted from mid November to early March with a crowbar or similar. A point or at least a 45 degree angle may be put on the Set and a little water poured into the hole prior to pushing it right to the bottom of the hole and firming up with the boot around the base. 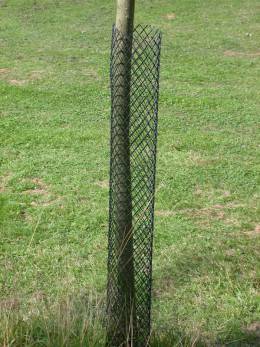 It is essential that the Set is in the upright position, no staking is required and a rabbit guard or metal deer guard must be fitted. 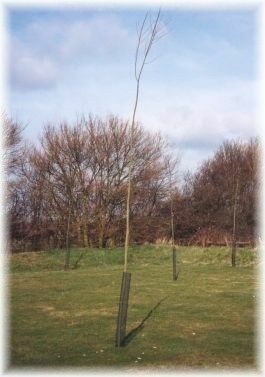 ‘Firming up’ should again take place in March, taking care not to break the newly formed roots. Maintenance is of paramount importance, trees neglected for one year only during their lifetime have little or no commercial value. 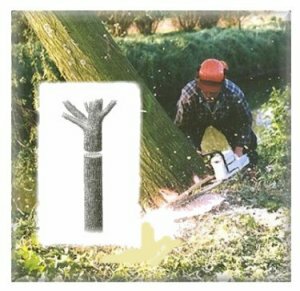 The side shoots can be rubbed off in the early stages, or if allowed to grow beyond this stage cut off flush with the bark in an upwards direction, never pulled off, especially in the downward direction. They should not be allowed to become ‘woody’. The first five years are the most difficult to carry out maintenance, after which the bark will harden up and the side shoots become less evident. Fencing against livestock is essential, horses and cattle in particular. Sheep may graze, but only when the trees are at least half grown. This photograph on the left shows the stage at which all shoots should simply be “rubbed” off the trunk. The photograph on the right shows the stage that a set should not be allowed to get to, each one of these shoots will cause a knot in the tree vastly reducing its value. Shoots of this size need removing with a sharp instrument in the upwards direction. The life cycle of a commercially grown tree is ideally fifteen to twenty years. They can be allowed to grow beyond this stage and provided they remain healthy can grow too well in excess of forty years old. Cricket Bat Willow trees are normally purchased standing, with all felling, extraction and clearing down to J S Wright & Sons Limited. Cricket Bat Willows are not purchased or calculated in cubic feet or metres and we cannot give a guide to value as it depends on many different factors but we are happy to view trees and quote a price. 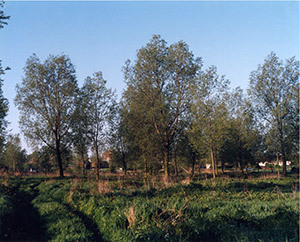 As a condition of a Felling Licence, which has to be applied for from the Forestry Commission in most cases (exceptions being a few trees in a garden or similar situation) each tree has to be replaced on at least a one for one basis, either in the same area or at least on the same farm or Estate. However, we try to encourage growers to replant as many as possible to ensure continued supplies for the future. Please remember that trees which have not been correctly maintained have little or no commercial value. We offer contracts for new sites giving a guaranteed sale when the trees are mature with either us looking after them at a cost or the grower looking after them by themselves with general advice and a walk around once or twice a year.